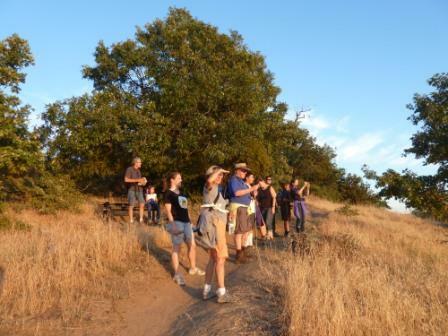 Saturday, May 4th, hike to the summit of the Volcan Mountain Wilderness Preserve. The preserve offers great hiking through 2,900 acres of beautiful mixed conifer forest, offering breathtaking views across the San Diego River watershed to the coast and to the Salton Sea in the Anza-Borrego Desert in the east. The Five Oaks Trail winds around the mountainside through a series of switchbacks ending with a breathtaking view. Due to the trail altitude (4,100 feet at parking and 5,353 feet at the summit), this 5.2 mile RT hike is considered moderately strenuous. Dogs are permitted as long as they are leashed. Wear: Sturdy shoes and a light jackect since the weather can change. 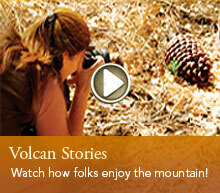 Location: Volcan Mountain Wilderness Preserve, 1209 Farmer Road Julian, CA 92036, 2 miles north of Julian. Park parallel to Farmers Road on the shoulder and walk 200 yards east up the gravel road to the Hubbell Gateway meeting spot.